Platinum Transfers & Tours services page is now live. We are very excited about being able to showcase these amazing destinations. Hamilton’s vibrant centre makes it a perfect place to experience the friendly Kiwi lifestyle. Fantastic business hub and destination for international and local events. Ask about our personalised packages for your clients. To create the world’s purest tea, there can be no compromises. At the Zealong Tea Estate, we ensure our range of teas are grown in an unspoiled environment, to the highest standards, and crafted by passionate tea masters. Zealong is premium tea grown, processed, and packaged from a single source in the pristine air and soils of Waikato, New Zealand. Produced to international food safety standards, Zealong is free of chemical sprays and uses only organic fertilisers. Your first sip will tell you this is special tea. From the delicate colour and aroma, to the pleasant tang on the palate and sweet aftertaste, this is tea at its finest. 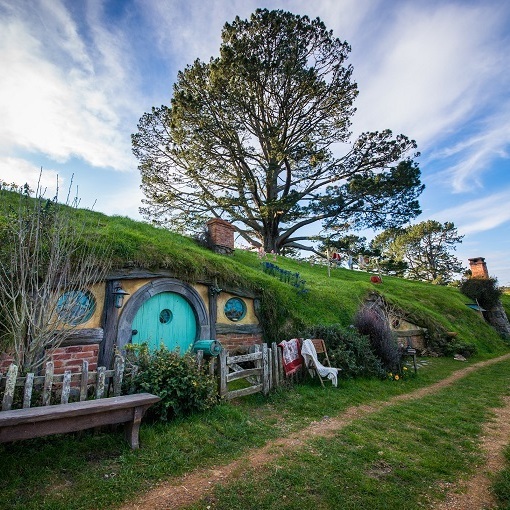 Your Hobbiton package starts with our luxury vehicles picking you up from your place, transporting you to Hobbiton on time all while having a stress free drive in a safe and relaxing premium vehicle. Once your tour is finished we will transfer you back to your place in the ultimate comfort of our premium vehicle. Hobbiton tour 2-hour ticket included in the price. All other tours are at extra costs. Prices may change if there are more guests per vehicle. Your Waitomo caves package starts with our luxury vehicles picking you up from your place, transporting you to Waitomo Caves on time all while having a stress free drive in a safe and relaxing premium vehicle. Once your tour is finished we will transfer you back to your place in the ultimate comfort of our premium vehicle. Your customised day package starts with one of our luxury vehicles arriving at your place on time to take you to your destination, in this case being Rotorua.